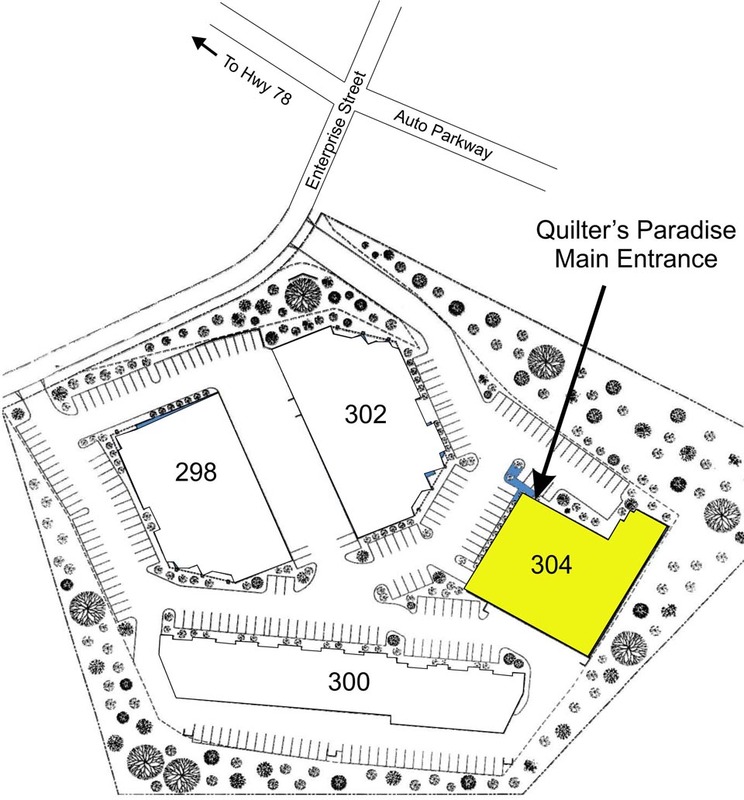 Quilter's Paradise is conveniently located near the junction of I-15 and Highway 78 in North San Diego county. Take first left and proceed up the hill; Quilter's Paradise is in the building directly ahead in front. Click for map and driving directions.